Over-the-top (OTT) TV platforms are springing up everywhere at a frenetic rate. 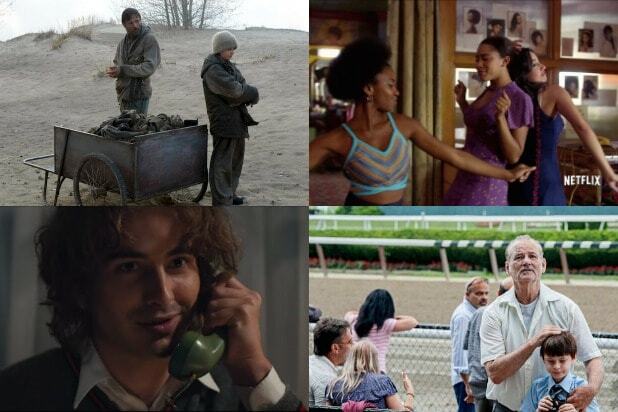 The first three posts in our series on OTT TV covered the economics of OTT TV, the exploding ecosystem and the emerging power of niches. 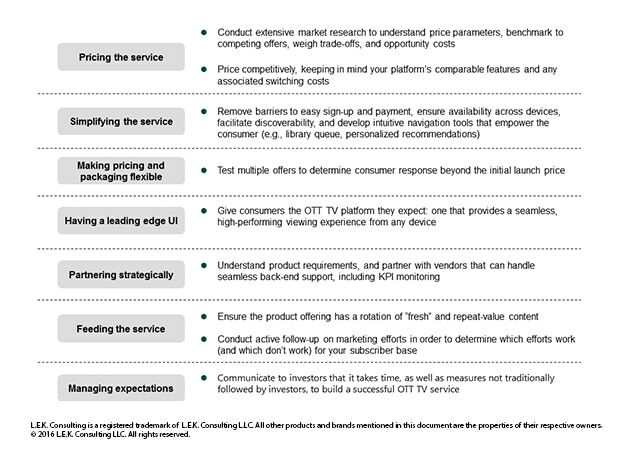 In this post, we apply our observations and industry knowledge to offer dos and don’ts for launching OTT TV platforms. 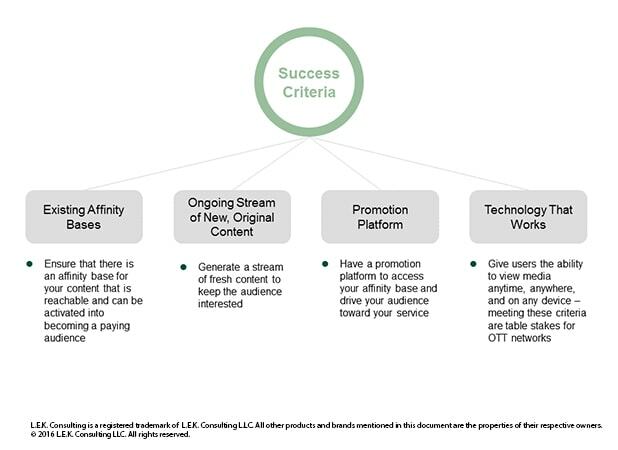 Every OTT TV failure has missed at least one of these criteria. Although Redbox Instant had deep affinity bases (i.e., Redbox and Verizon customers), it did not have original content, and it experienced technical issues. 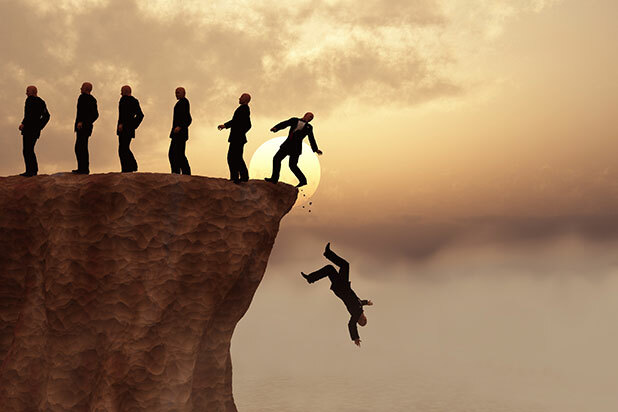 Although these four criteria are important, they do not guarantee success. 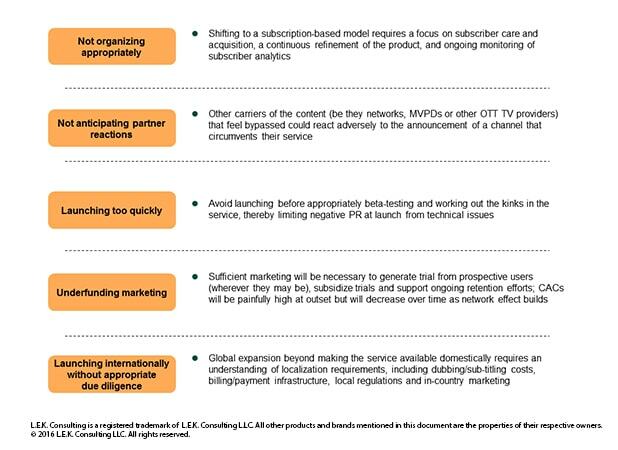 Below is a list, based on failures and successes across the industry, of tips for anyone looking to launch an OTT TV network. Each launch is unique, so these dos and don’ts do not necessarily apply to all OTT TV platforms. Tune in next week for a further discussion of how to make OTT TV work with an omnichannel approach and OTT TV networks. This is Part 4 in a series on over-the-top (OTT) trends by Dan Schechter, Gil Moran and Francesco Di Ianni from L.E.K. Consulting’s Media & Entertainment consulting practice.